Plant /plant/ verb to place (a seed, bulb, or plant) in the ground so that it can grow; to place or fix in a specified position; to establish (an idea) in someone's mind. 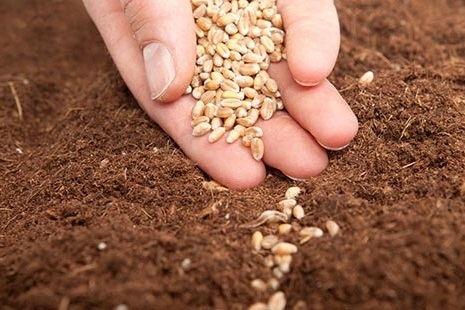 PLANT - Working with a financial advisor to sow your financial seeds is a great idea. We can begin by identifying what you want to plant and how you want to grow it. From starting a savings plan, to 401(k) help or identifying where you want to begin, we can help you plant the financial seeds so you can afford the lifestyle you want now and in the future. Financial Planning (Budgeting, Saving, and Investing)- Before you reap the benefits of a harvest, first you must sow the seeds. Sure, you know the basics of accounting for your money but do you know how to manage your money so it can grow? Do you need help creating a budget, managing credit cards, or investing for the future? A financial plan can help you identify your goals and set you on the path to reach them. We’ll help you create or streamline your existing budget and help you use your resources to meet your goals and plan for the future. Employer Retirement Plan (401(k) or 403(b)) - Your workplace retirement plan can be a great place to start your savings plan. Let us help you review the options available to you. Protection Planning- Protecting your income is about protecting your future and the future of your loved ones. You work hard to afford a lifestyle and live in comfort. Reviewing your protection plan, such as life Insurance and property insurances, is both sensible and proactive.